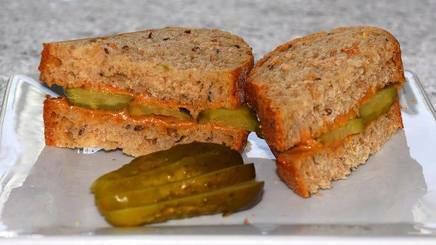 Okay, the idea of eating peanut better and pickle sandwiches sounds insane, but hear me out ... there is something about the sharpness of the vinegar, mixed with the smoothness of the peanut butter that works! Don't believe me? Try it and see for yourself.